While any increase in child benefit is most welcome, the extra €5 per month announced in this year's Budget just brings it back up to €140, which is what it was when the Government came into office in 2011. I remember the heyday of child benefit, when it rose to a record €160 per child in 2008. This small increase of €5 a month forms part of a wider set of measures aimed at tackling the cost of childcare - with two weeks' paid paternity leave also being announced. Around 600,000 families will benefit from the increased monthly payments. To put it into perspective, this extra €5 a month will afford you: a packet of 19 nappies for €4, four cartons of milk for €4.24, or a 48-pack of Weetabix for €4.50. Having twins is the way to go if you're looking for additional benefits. Child benefit for twins is one-and-a-half times the normal monthly rate for each child. I presume the extra money is for the mother to buy coffee to keep her awake during the day after the sleepless nights. It also good to know that the majority of families will now be breathing a sigh of relief as the Government still has no plans to means-test the child-benefit payment. Many were worried that, after our neighbours in the UK changed the child-benefit system and introduced means-testing in 2013, it might befall us too. For now at least, child benefit will be retained as a universal system to assist all families with the cost of raising children. With childcare costs putting so many families under strain, the news that children between the age of three and five will be entitled to free pre-school education until they reach primary school is welcome. A survey carried out by the Irish Independent showed that it costs up to €1,150 a month for a créche place for a baby. And for both a baby and toddler the cost can rise as high as €2,035 per month. To meet that monthly expense for two children a mother would need to earn €30,000 a year - which after tax would leave her with €2,071 a month. She would have a whole €36 left over once the childcare costs were paid. Across the EU, childcare costs make up around 12pc of a family's income, but in Ireland, they account for 35pc. These costs prohibit many women from going back to work. At least the free pre-schooling will help cut back on some of the childcare costs. The introduction of two weeks' statutory paid paternity leave is good news indeed. Ireland has for far too long been in a minority of Western countries who do not provide paid paternity leave. 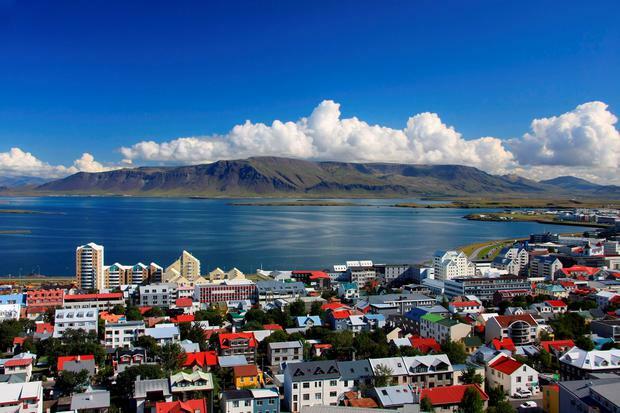 Fathers in Iceland get up to 91 days paid paternity leave. It's surprising that men all over the world aren't hopping on planes headed for Reykjavik, getting hitched to Icelandic women and having babies they can spend months bonding with in the snow. The introduction of paid paternity leave is very good news for the family as a whole as shell-shocked fathers will no longer have to return to the office a day or two after their child is born. In fact this new measure will mean happier homes around the country. Tearful new mothers sitting at home on doughnut-shaped cushions will no longer have to wave their baby's father off and face into day two of parenthood alone. Parents will be feeling a lot more valued in this Budget.